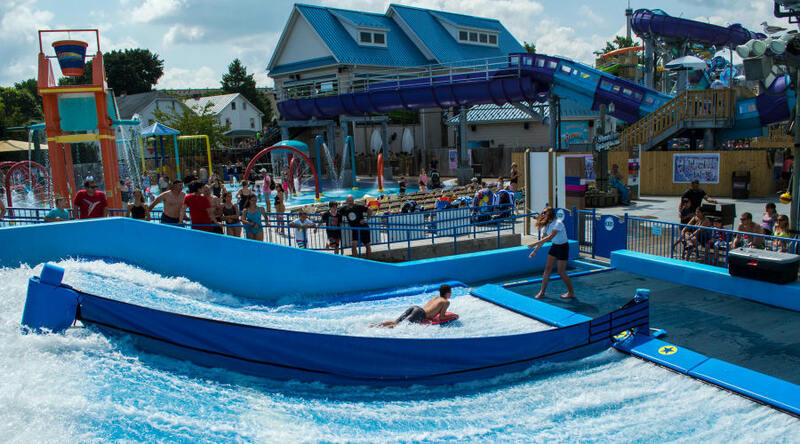 Get on the board, catch a swell, and see how long you can ride the wave in The Boardwalk At Hersheypark® water park! Waverider℠ water attraction provides a sweet, simulated surf experience. This ride may not accommodate guests of a larger size (height and/or weight). The weight of a rider may not exceed 350 pounds. Casts are not permitted.